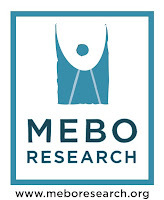 This weekend sees the start of the MEBO Research alveolar breath test study, in which volunteers can pay to have their own alveolar breath sampled. It is taking place in Chicago and 4 people are expected to test. The testing is taking place in a private room in a public library, with the testing personally overseen by our Managing Director, Mike. Sampling should take about 15 minutes per person. Alveolar breath is breath from the lungs, so is essentially air from the circulation. This means it may spot odorous compounds from the circulation that are in higher numbers than normal people. So hopefully it will be of use in giving clues of any enzyme disorders. Mike has his own result back from Menssana, which we hope to post soon.